The top two shelves. Ackkkkk! I plan to edit, straighten and clean the food pantry today. And yes, I’d rather stick needles in my eyes. Formerly a coat closet, (I put shelves in as I don’t have that many coats.) 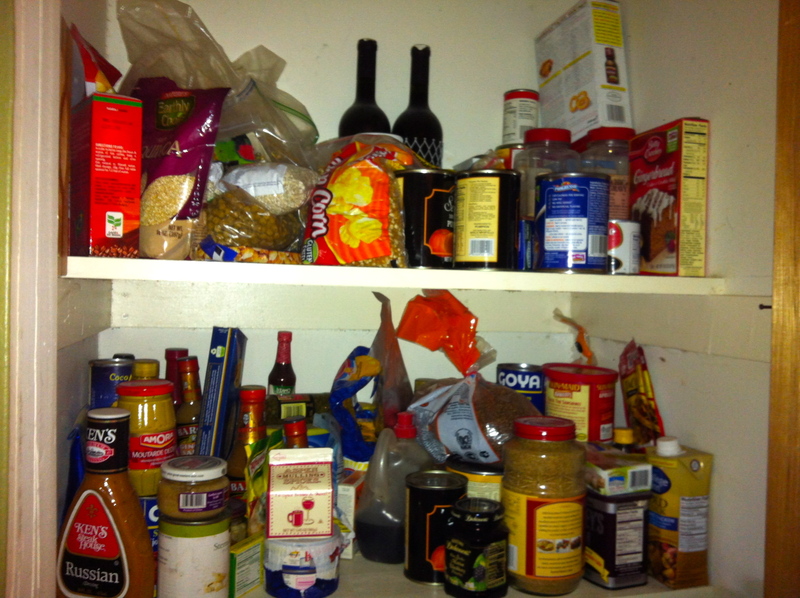 this pantry has become a pain in the keester lately. I want to devote a shelf entirely to the food I use for my Greys. And I want to be able to see exactly what it is that I have. Obviously this isn’t possible in its current state. One of the things to be aware of when you’re doing a big cleaning and de-cluttering job is to be aware of your own little peccadilloes. Your “quirks” or soft spots. What do you tend to not want to throw out? What do you end up keeping a lot of? 3 of mine are easy to recognize and I know the reason for each of them: Pens, scissors and food. The having a lot of pens is a no-brainer. For one thing, I’m a writer. Not having a pen is like being in a horror movie. To me it’s the worst Twilight Zone episode ever. 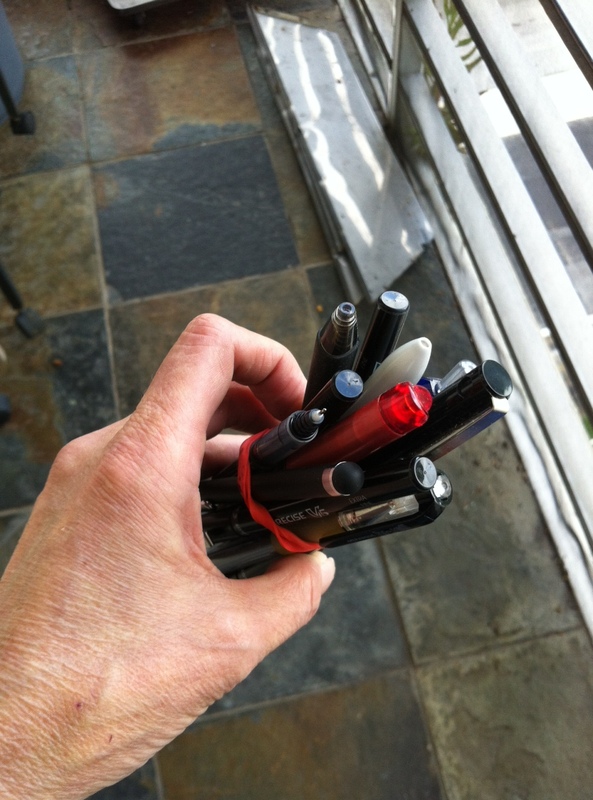 When I was a kid, we had a lot of pencils around, but my Mom for some reason, thought it was perfectly reasonable for each person to have one pen in the house. And you were supposed to use the pen until it went dry. This lack of “pen-age” made me a little panic-stricken about having pens. Do I need this many pair? Probably not. But it certainly explains something about my upbringing that has raised its head in later life. The last issue is food storage. I like food. I like to cook it, I like to serve it and I like to eat it. I also like to have it around. I like options. When I was a young adult, I was pretty poor. Like many college kids and young adults attempting to move up in the world, there were times when food was a scarcity. Good food wasn’t always an option. And there were times in my life when I did indeed go hungry. That taught me a lot about life. It also taught me a lot about how food is kind of a necessity and it goes on the list before purchasing any solid gold digital escargot forks. In other words, I don’t need Prada shoes. But I sure as hell need food. So keep your little quirks in mind when you’re doing the work on your house. Which brings up a good question. 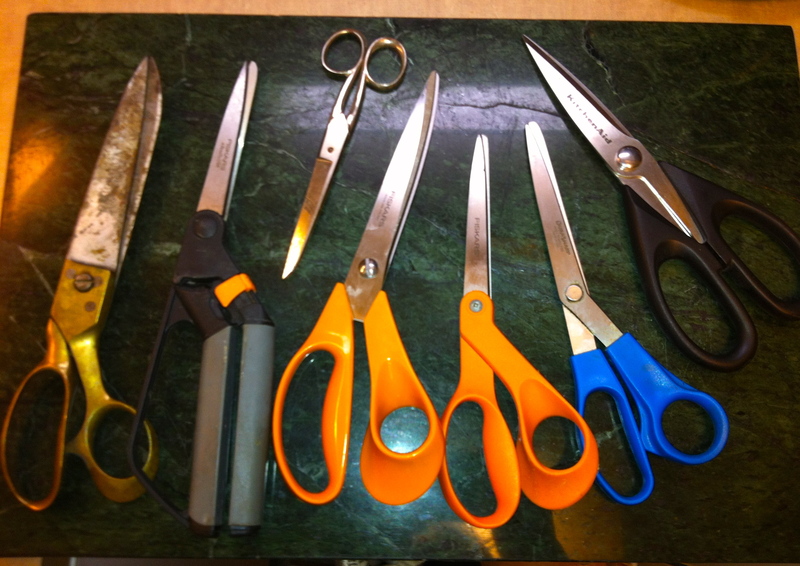 Am I going to get rid of any of those pairs of scissors? No. Because that’s one little quirk I can live with. I have SO enjoyed Reading your posts about cleaning out your house! I wish you lived closer! You have prompted me, through your writings, to start doing the same thing around my house. Keep up the good work! It hasn’t been easy Kate. And I’m on vacation! But it was something I’ve wanted to do and it takes time. I’ve done wonders but there’s more to be done. Don’t give up and keep on truckin’! One small area at a time.